Humans can parry and defend themselves. Humans can redirect Zombie momentum. Humans can choose advantageous terrain. Humans can attack vital spots. When it comes to hand-to-hand combat, Zombies have some advantages over the living. But, the living can fight back and win. Survivors should never forget that each of these advantages also comes with some tremendous disadvantages. For example, Zombies may be relentless in coming straight at you in an attack, but they don't try to avoid obstacles. They may not feel pain, but without pain there is nothing to prevent them from impaling themselves on a spike. While Zombies don't get tired, they also don't heal from wounds. The Zombie you have to fight, may not even have full use of his hands or feet. Another advantage of the Zombie over humans is purely psychological. Yes, a Zombie may be training 10 feet of intestines behind him. However, he may also lack the stomach muscles he needs to bend over and bite you! Finally, Zombies do hit harder than humans. Their strength isn't limited by pain or practical human concerns. But, they don't really pick their targets well. They'll hit any human in front of them without any conscious thought. Consequently, they don't pick the most tactically advantageous targets. Typically, the only get the humans that falter and fall before them. By turning Zombie advantages into disadvantages, you can defeat them! You can lead them into traps, spikes, barbed wire, pits, and more. You can also direct your blows to their heads and necks. While Zombies have advantages, you can win. 2. Put on the damn Helmet. Zombies Don't Shoot - Any helmet should help! If there is ever a zombie apocalypse, you are definitely going to want to put the helmet on. There are many options available and you can think outside the box when it comes to helmets. 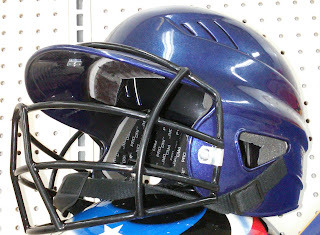 Lots of sports from Lacrosse to field hockey to football and motocross require helmets. The trick is to find one that fits and that is ventilated enough for long wear and exertion. Football Helmet. If Zombies are your primary concern, you may want to consider an American football helmet with full face guard. This would be light weight and offer protection against bites to the head, ears, and face. The face mask could also help prevent fingers from getting to the face. However, zombies are unlikely to follow league rules on grabbing the face mask and they may get a good grip on it during close quarters combat. Riot Helmet. Alternatively, if you don't want to get jammed by dead decaying Zombie fingers, you could wear a riot helmet with a full face shield. That would help protect you against direct pokes, bites to the face, and zombie drool. Once you have a helmet, you might find it helpful if a tornado comes your way or if there is ever any civil unrest in your area.